What do bees and birch trees have in common. Perhaps on the surface they seem quite separate, especially when you consider that birch trees are wind pollinated, and are therefore, not often visited by bees unless there is no other pollen source. However, bees and birch have more in common than one may first assume. Both are, to some extent, seemingly wild and free for human control, however when you consider that honey bees always have a beekeeper and birch forests are almost always managed by someone, the layers of similarities start to appear. Finland is seen by many as the land of forests, although most of this ‘forest’ is now managed land. With very little of old growth forest left, the areas that they do exist are, for the most part, protected as these ancient natural areas are vital for sustaining the biodiversity we have across, not only Finland, but Europe today. Whats that got to do with bees, one might say, but when you start to consider the extent that bees are also controlled and managed for human benefit, it becomes clearer. Bees are selectively bred to ensure a calm, good-natured, unlikely to sting, high yield honey producing bee colony. What becomes more interesting is the extent that humans have gone to, to keep non-native bees in Finland, with the most common strain being Italian bees. Other bee species are also farmed in Finland, from Estonia, Ukraine and Sweden, but Italian bees are most common here and in many other European countries. This is because, among other things, they are favored for their nice temperament and good honey producing potential, even though they are not so accustomed to cold, damp climates. Although there are no indigenous Apis species for Finland, this is often forgotten, as beekeeping has been around since the 18th Century. However, the Native Nordic (Swedish) bee, the European Dark Bee, was one of the first imported to Finland and is native to most of northern and central Europe. Unfortunately, it can be more aggressive, and thus is not as widely used, especially in public places, when compared with its fellow southern species. Both the birch and the bee have been subjected to exploitation by humans through the paper and honey industries and it seems we are only really starting to understand the implications of this single minded clear cutting and single strained insect husbandry in contemporary times. Perhaps we can learn something about the possibilities and constraints of ‘life’ by attempting to relinquish some control by letting two of the basic compounds involved in those industries (birch ash and beeswax) play out an interaction, allowing them to exchange in a reaction that we cannot directly influence. The information contained in this post has been obtained from various sources including word of mouth, books, a variety of translated texts and the internet. If I am misinformed about anything then corrections are welcomed. Regarding the living ashes project, I have tried to use birch tree bank as a source of oil for soap making. One removes the bark of a fallen tree, place it in tight rolls in a sealed metal can with a hole in the bottom. The can is then mostly buried in the earth and a fire is built on top of the can. The heat from the fire extracts the fluid oil from the bark and it drains out the bottom of the metal can into a receiving vessel. 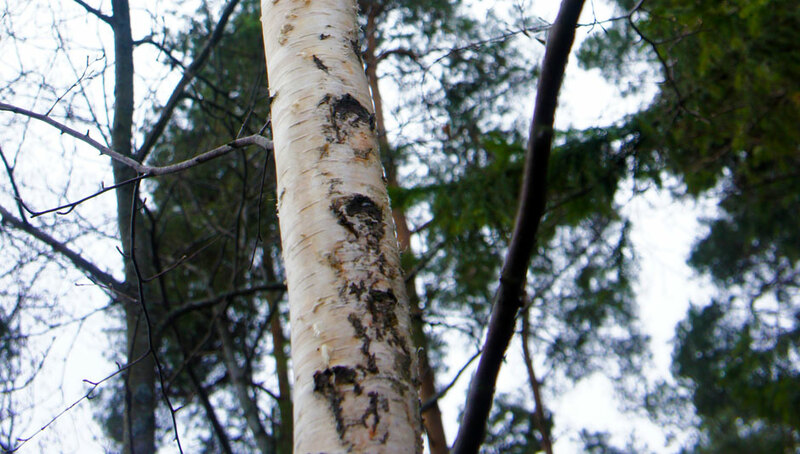 The birch oil (or tar) extraction process works and produces a very black substance. There are some videos of this process on youtube.